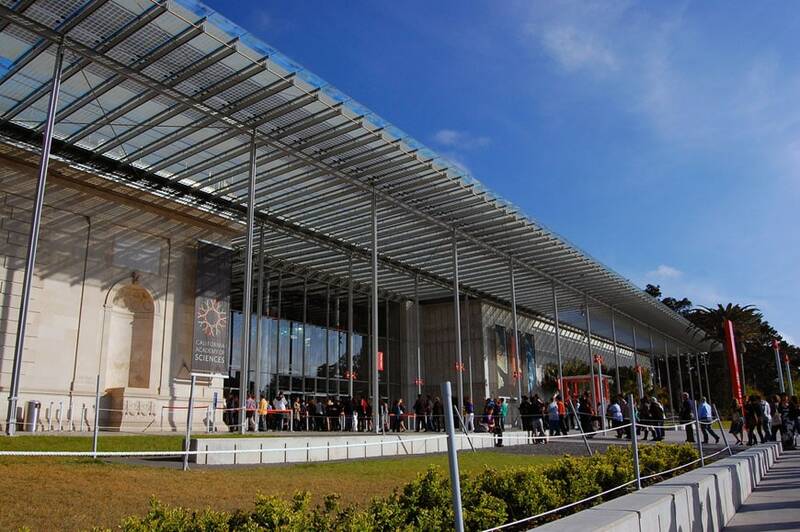 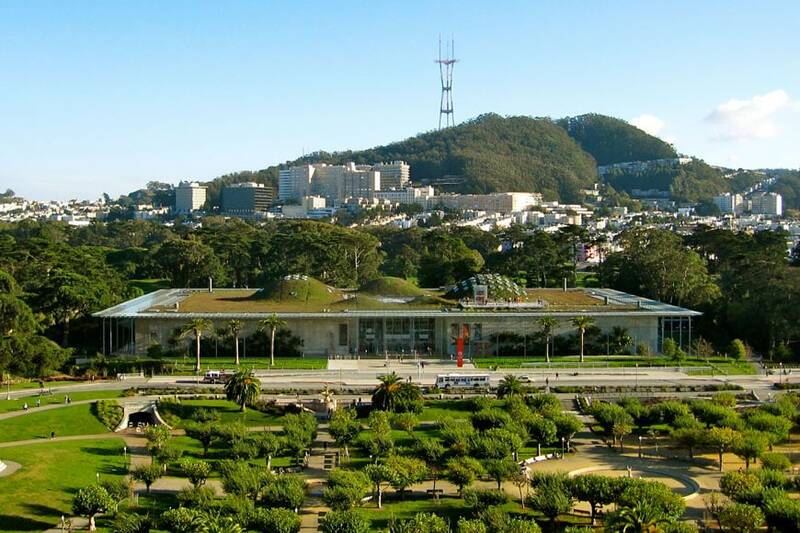 Located in Golden Gate Park, the museum’s building was completely rebuilt in 2008, after the Loma Prieta earthquake badly damaged the old structure. 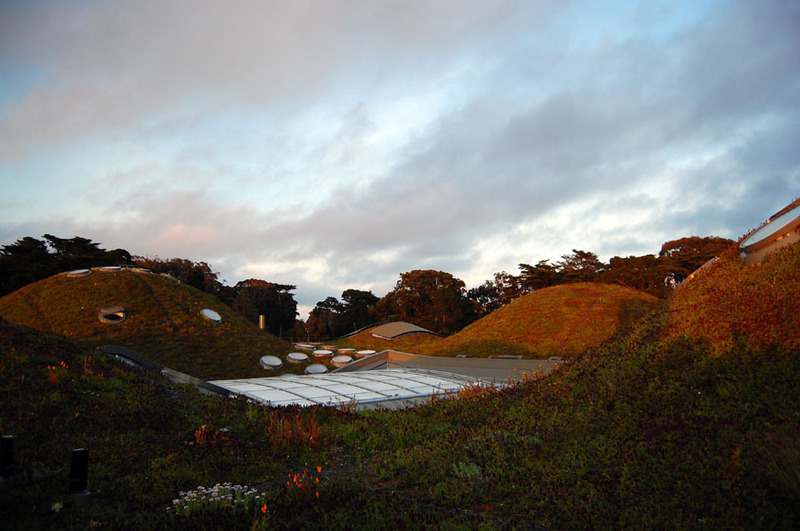 With a total floor area of 410,000 square feet and a construction cost of nearly half a billion dollars, the new building, designed by Italian architect Renzo Piano and famous for its wavy green roof, was, at the time of completion, one of the largest and most advanced environmentally-sustainable buildings in the world. 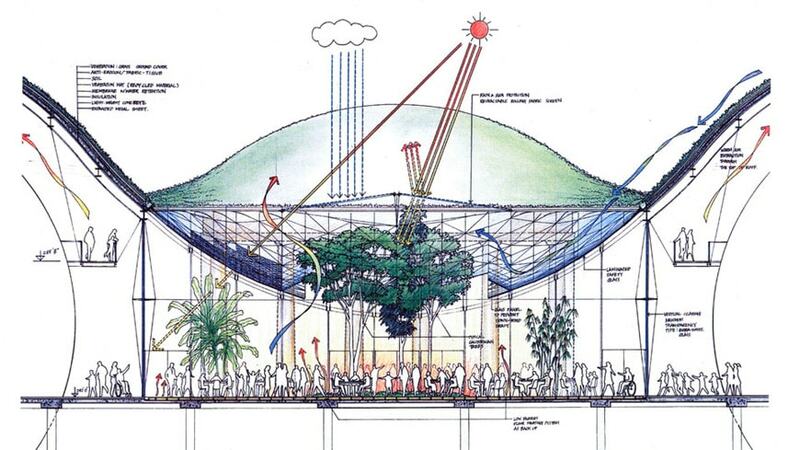 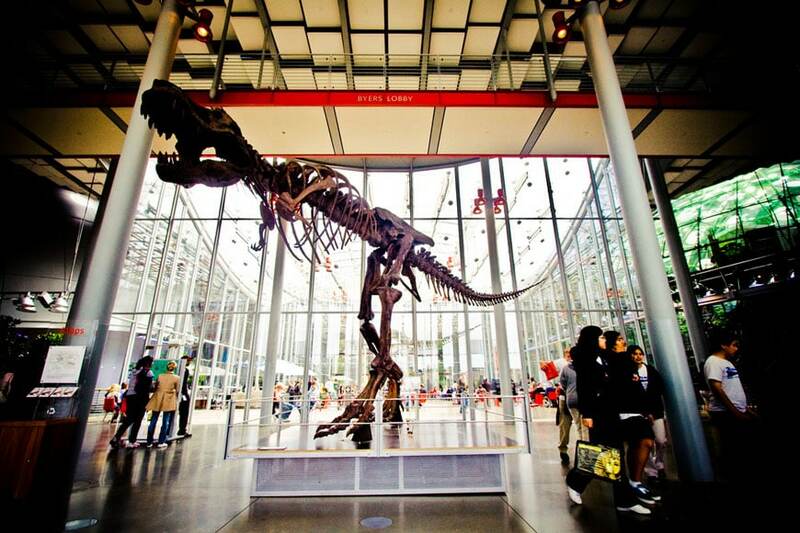 The main mission of the California Academy of Sciences is “to explore, explain, and sustain life on Earth”. 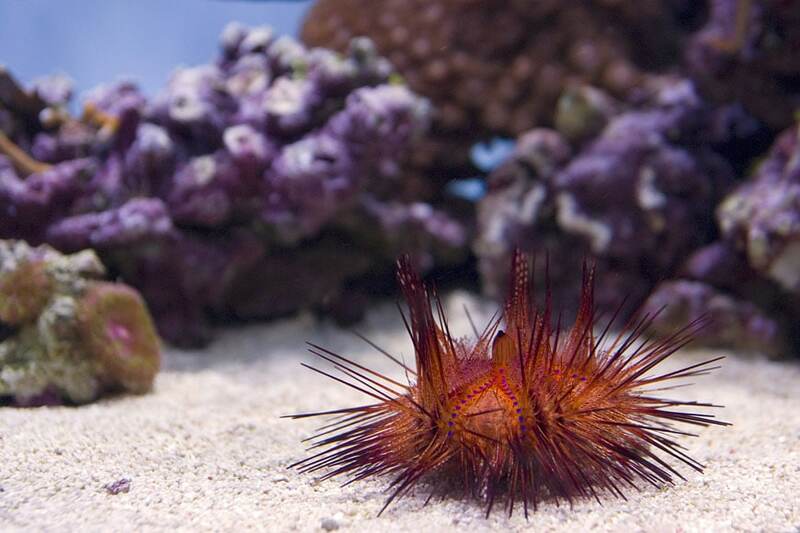 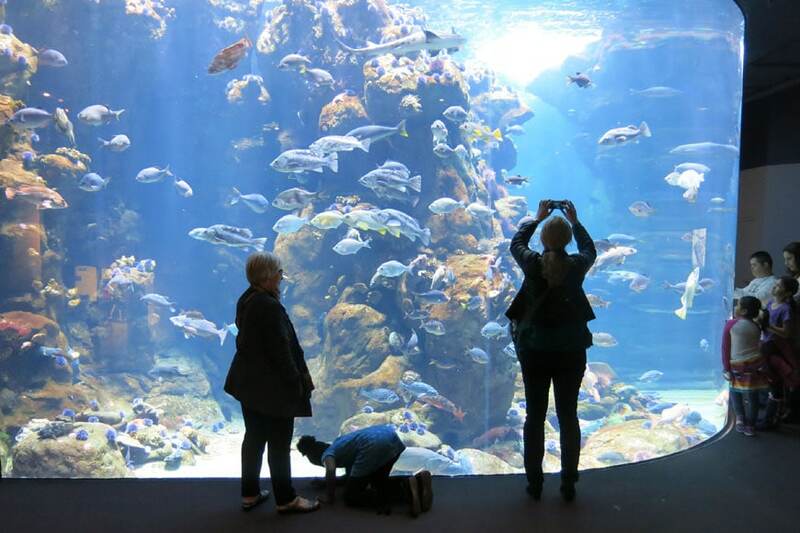 As anticipated, the museum encompasses four sections: the Steinhart Aquarium, the Morrison Planetarium, the Osher Rainforest, and the Kimball Natural History Museum. 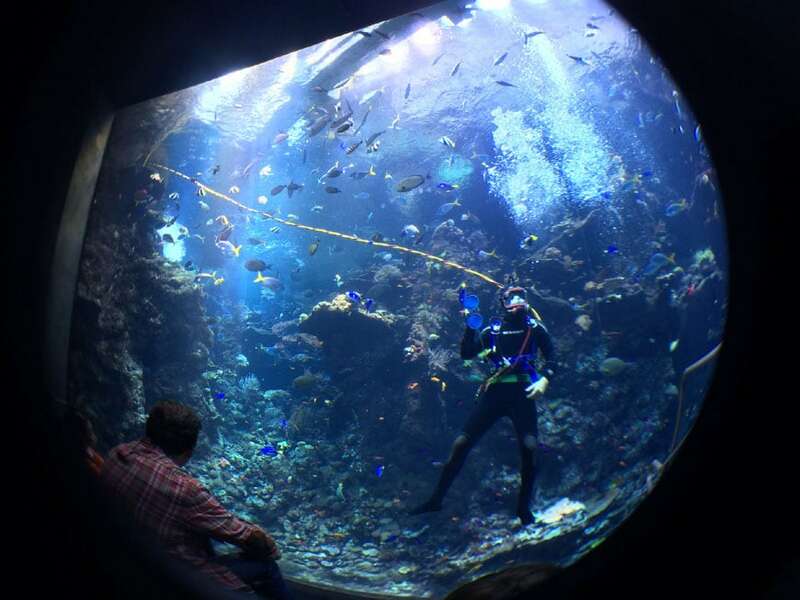 With about 40,000 living animals belonging to 900 species, the Steinhart Aquarium is one of the largest and most diverse in the United States; it comprises pools, tanks, and reconstructions dedicated to marine flora and fauna of California; to sharks, to African penguins; to the coral reefs of the Philippines; to alligators; to sea turtles; and galleries featuring various types of salt and fresh water animals, such as the spectacular “Water Planet” gallery. 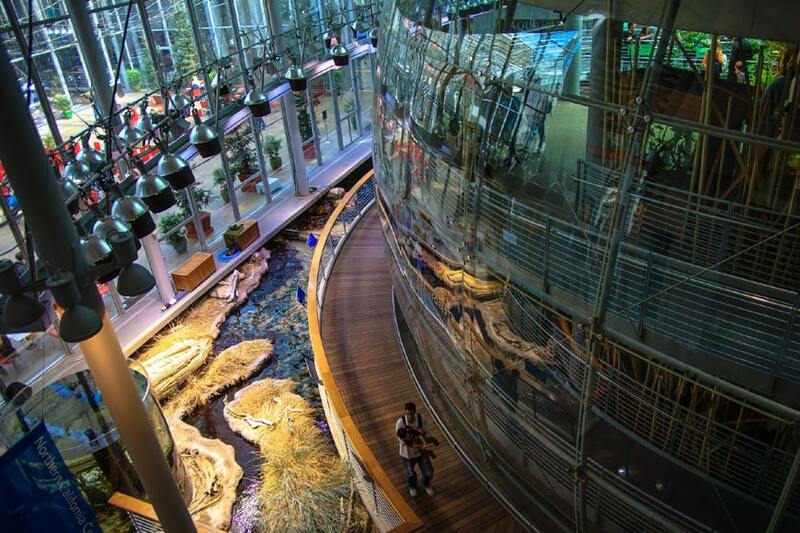 Housed under a large glass dome with controlled temperature and humidity, the Osher Rainforest is a reconstruction of four different tropical ecosystems: Bornean, Madagascan, Costa Rican, and Amazonian forests, complete with their typical flora and fauna. 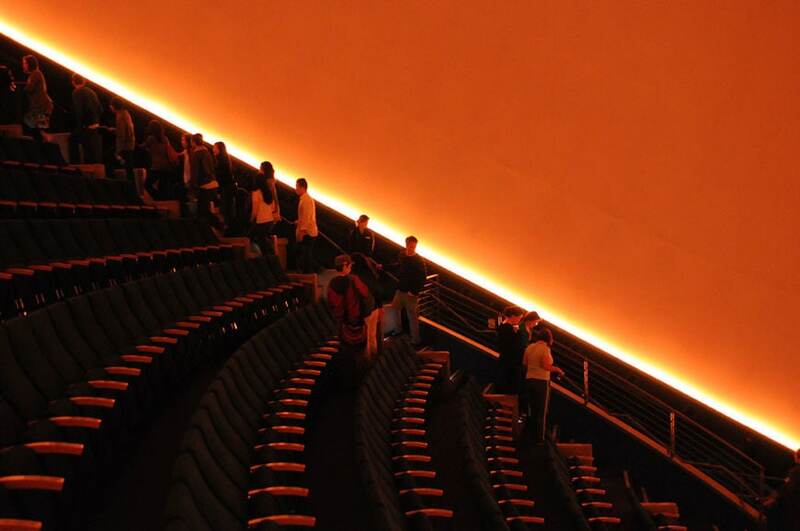 One of the most technologically-advanced planetariums in the world, the Morrison Planetarium features a large domed screen, 75 feet across, on which a large scientifically-accurate reconstruction of the universe is projected. 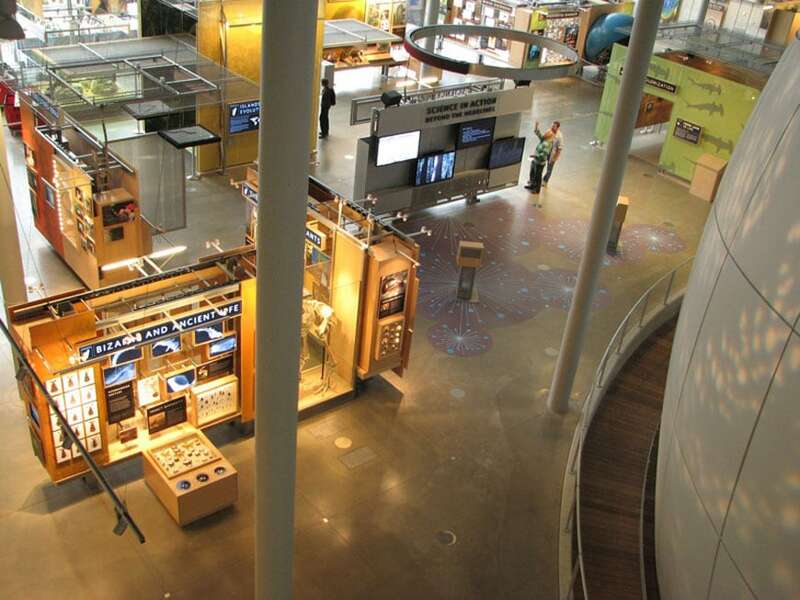 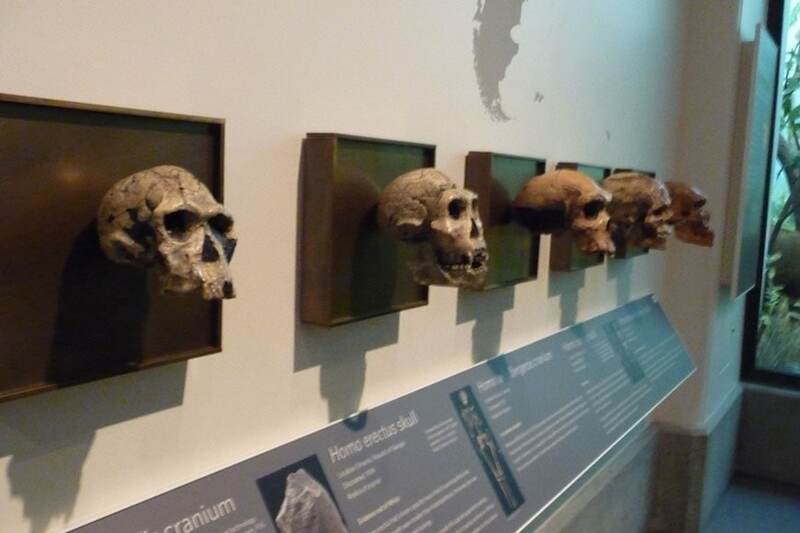 Comprising both specimens and interactive exhibits, the vast permanent exhibition of the Kimball Natural History Museum is divided into sections covering various themes related to nature and science: from genetics to zoology, from paleontology to Darwin’s theory of evolution, from anthropology to Earth science and geology. 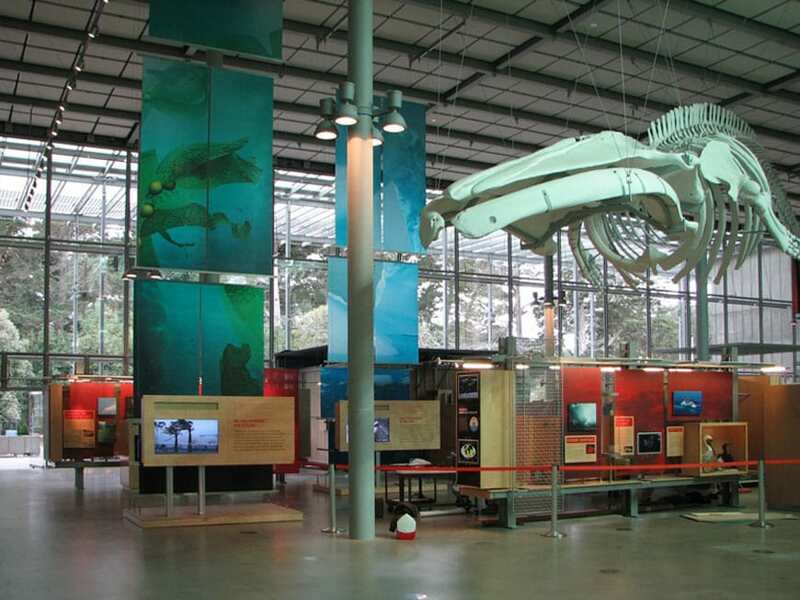 The California Academy of Sciences also organizes temporary exhibitions, lectures, workshops, educational classes, and special events.